A new rear double A Arm suspension for your Beetle. Fully independent, to use with C.V. Joint. (like I.R.S. Beetle System) You can adjust camber and toe with the wishbone and spring load in the coil-over spring. Stock Beetle style trans mount. 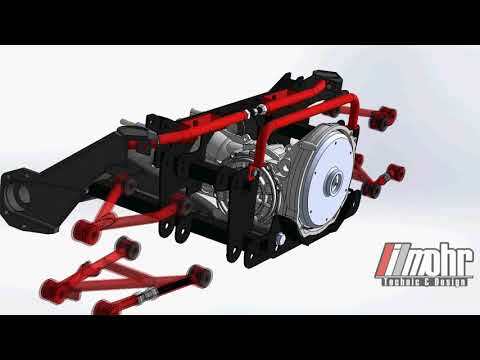 Go fast and confortable with this double wishbone iMohr suspension! Brakes: Minimum Ø280mm disc brake.